Just Shutters are delighted to provide the stunning homes of Folkestone with high quality bespoke window shutters. Just Shutters has grown from a small family business to a larger organisation of passionate experts. We always strive to provide our customers with beautiful shutters at the value prices of a larger company, with the care and customer service one would expect of a local one. For this reason, for Folkestone plantation shutters you simply cannot go anywhere but Just Shutters. Your Folkstone plantation shutter expert is David Stansbury. 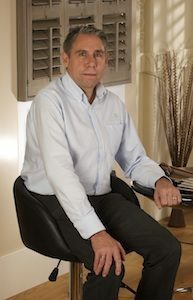 David is a Kent local who is passionate about providing customer with stunning bespoke shutters. 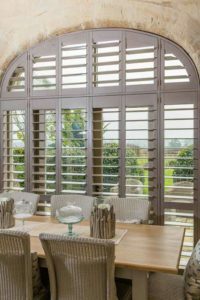 Plantation Shutters combine beautiful designer looks with a multitude of practical benefits – as a result, shutters are fast becoming the desirable window covering of choice. Having made their mark with designers, hotels and glossy magazines, homeowners are following suit and as such, the shutter market has grown substantially in recent years. This growth in the market has seen the product evolve and adopt multiple benefits! WHAT ARE THE BENEFITS OF PLANTATION SHUTTERS? – Improvement in the privacy of your home. – The security of your home will increase – consequently adding long term value to your home. Furthermore, we are so confident in the quality of our shutters that all of our products come with a lifetime guaranteed. WHY CHOOSE JUST SHUTTERS FOLKESTONE? Our shutter experts in Folkestone are passionate about providing you with the highest quality product and service. As a result, Just Shutters are trusted as industry leading experts who truly love what they do. Call our friendly team to chat with our dedicated experts to arrange a free home design visit. Our consultants will show you samples against the windows in your home and answer any questions you may have. Call us on 01892 575 858 or follow the links below for more information, to arrange a visit and receive a quotation. Our Folkestone plantation Shutters experts are trusted by their clients because of our personable approach and high quality. As a result, our customer reviews are excellent. See what our customers have to say about our Folkestone plantation shutters experts below. Don’t just take our word for it, browe over 6000 unbiased reviews on our ‘checkatrade’ profile. Supply and fit wooden shutter blinds. Supply and installation of large complex area of shutters.